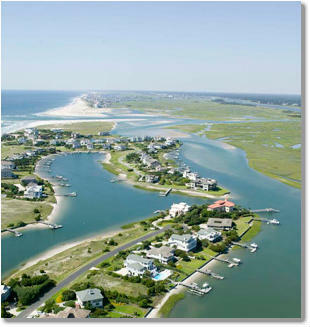 Figure Eight Island is an exclusive and serene island north of Wilmington, NC. If you are looking for private coastal living, Figure Eight is the perfect place. The island is north of Wrightsville Beach, accessible by a guarded swing bridge located through the Porter's Neck area of Wilmington, at the end of Edgewater Club Road. This bridge is one of the only private bridges passing over the Intracoastal Waterway on the east coast. No one except homeowners and approved guests are permitted, making Figure Eight a haven for celebrities, politicians, and all others who seek an exclusive island home. There are less than 500 unique homes on the island and no commercial property. Some homeowners reside on Figure Eight year round and others use their homes as vacation getaways, but most all of them have breathtaking water views of the ocean, sound, or marsh. The most recent listings on Figure Eight Island are below. See something you like? Call any member of Bobby Brandon Real Estate Team to schedule a showing.